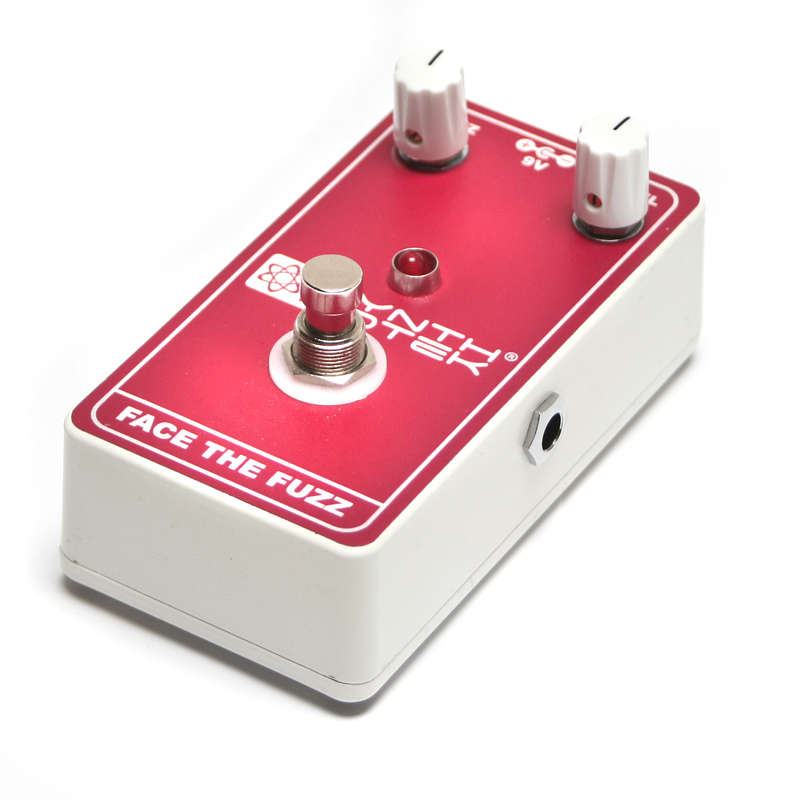 The Face the Fuzz is a modern take on a classic sound, modeled after the Dallas Arbiter Fuzz Face but with some important upgrades and modifications. Get the original Germanium PNP transistors for that classic tone just like the likes of Jimi Hendrix, Duane Allman, and George Harrison played! 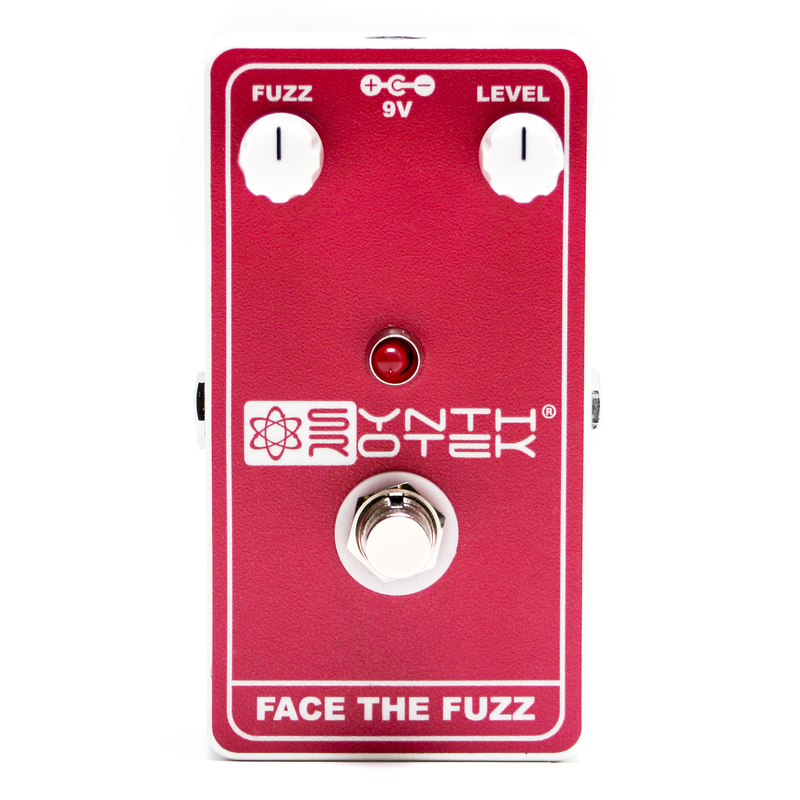 What is the difference between Synthrotek's two fuzz pedals: Face the Fuzz and the Arbiter Fuzz Face Clone? 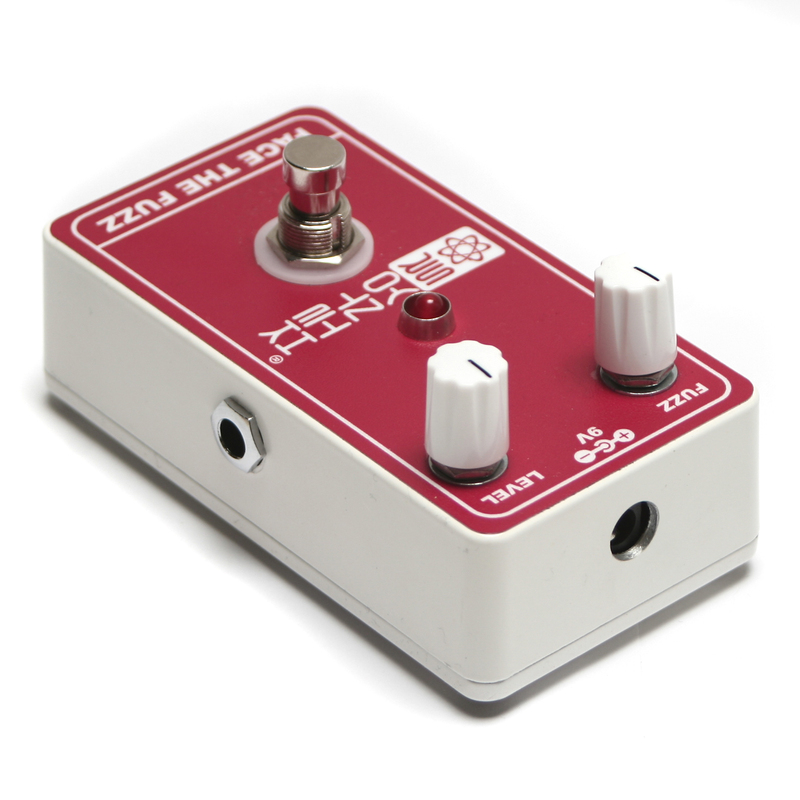 The Arbiter Fuzz Face Clone uses the classic circuit that is known and loved by many, and everybody loves a classic. 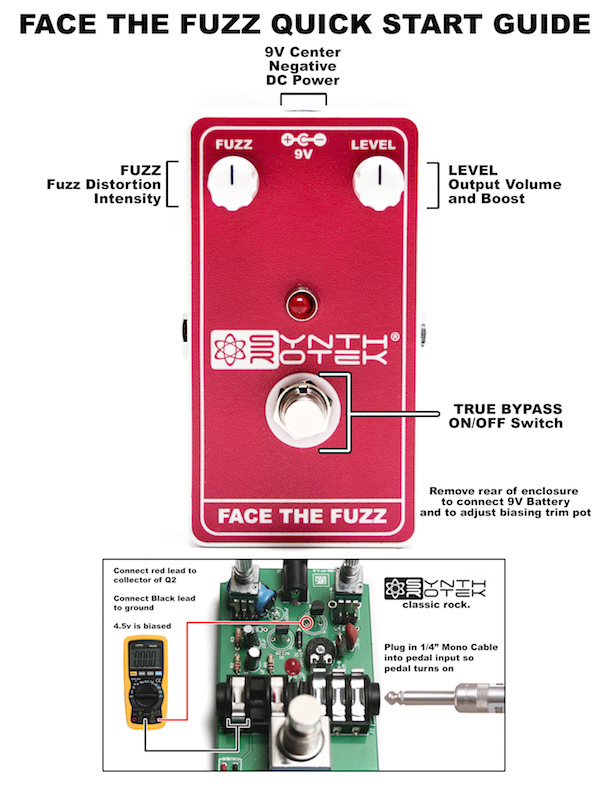 We designed the Face the Fuzz with a few key changes to make it more useful to the modern musician: a wider frequency response, the ability to daisy-chain the power with a 1 Spot, and the option to use temperature-stable Silicon transistors. 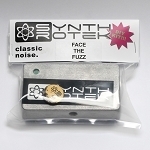 The Face the Fuzz comes with hand-tested and selected premium AC128 NOS PNP transistors. We test all of our AC128s for optimum gain and leakage current so that they are guaranteed to bias properly and sound great! We choose lower gain transistors for Q1 and higher for Q2 according to our strict standards. Be assured that you will be playing a premium product that takes the guess work out of Germanium transistor testing. Input jack switching - no instrument cable plugged in, no power used. Save life on your expensive batteries! The Face the Fuzz comes already biased, but it may need adjustments from time to time. Power on your pedal and plug a cable into the input jack. To be optimally biased, the collector of Q2 needs to be at 4.5 volts. (When connecting the Face the Fuzz circuit to your multimeter as shown in the photos below, your meter will read -4.5V.) The 20K trim pot is used to dial in this value. All you need to do is connect your leads to a ground on the PCB and the collector of Q2 to get this reading.